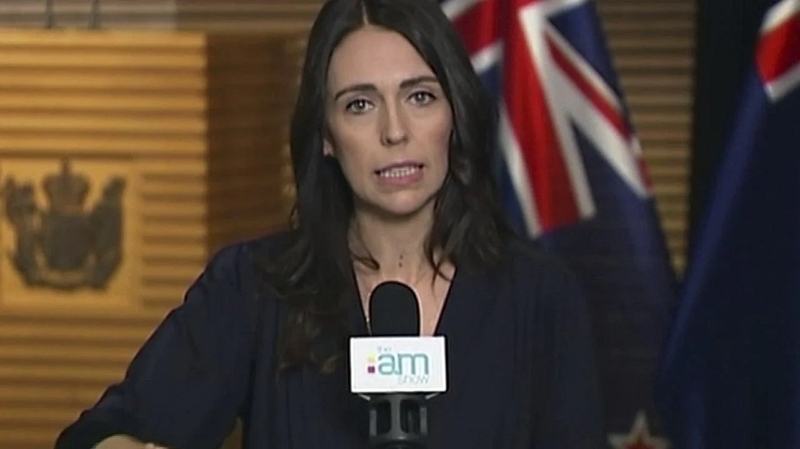 THIS is not New Zealand, the country’s Prime Minister Jacinda Ardern reaffirmed on Saturday during a visit to a refugee centre here to show her solidarity with the Muslim community in the wake of the ghastly terror attacks at two mosques which claimed the lives of 49 people. “You were quick to mention this is not the New Zealand that you know. I want to reaffirm that today. This is not New Zealand,” she said. “A complex and comprehensive investigation is underway by police,” The New Zealand Herald quoted Ardern as saying. New Zealand’s Attorney General, David Parker, also outlined that semi-automatic weapons will be banned in the Oceania country following the terror attack which has brought focus to the country’s gun laws. “How can it be right for this atrocity to be filmed by the murderer using a go-pro and live-streamed across the world by social media companies?” Parker said while echoing the Prime Minister’s assurance that gun laws would change. Pak Foreign Office confirms deaths of Six Pakistanis: SIX Pakistani nationals were killed in terror attack on two mosques in New Zealand. The deceased has been identified as Sohail Shahid, Syed Jahandad Ali, Syed Areeb Ahmed, Mahboob Haroon, Naeem Rashid and his son Talha Naeem. TWO Pakistani nationals were killed in the terror attack on two mosques in New Zealand and one of them died while he was attempting to stop the shooter during the attack, according to a media report. Naeem Rashid, hailing from Abbottabad, received bullet wounds as he tried to overpower the shooter as he entered one of the mosques in Christchurch, the daily said. His son, Talha Naeem also lost his life in the same attack. NEW ZEALAND’S Prime Minister vowed on Saturday to toughen the country’s gun laws after revealing the alleged shooter behind Christchurch’s mosque attacks had legally bought the five weapons, including two semi-automatic rifles, used in the massacre. The nation’s firearms laws are lax compared to neighbouring Australia, which enacted a strict gun control regime in the wake of a similar massacre in 1996. Jacinda Ardern said 28-year-old Australian Brenton Tarrant obtained a “Category A” gun licence in November 2017 which allowed him to purchase the weapons used to mow down worshippers in two Christchurch mosques. Some of guns appear to have been modified to make them more deadly, she said, adding that a ban on semi-automatic weapons would be considered. “The mere fact... That this individual had acquired a gun licence and acquired weapons of that range, then obviously I think people will be seeking change, and I’m committing to that,” she told a press conference.